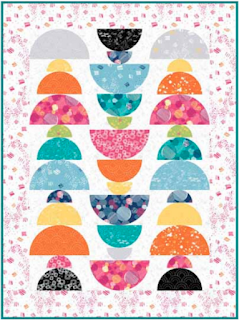 Today Afton @quiltingmod shows some simple yet graphic blocks she has put together using On Your Mark. 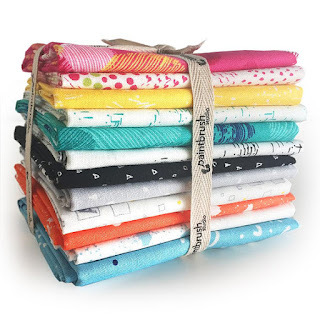 Bookmark her tutorial; this might be your next quilt! Afton says, "My On Your Mark Create! hop stop will feature a quick and easy, fat quarter-friendly quilt block. Though it looks complex, it's actually made from strip sets!" 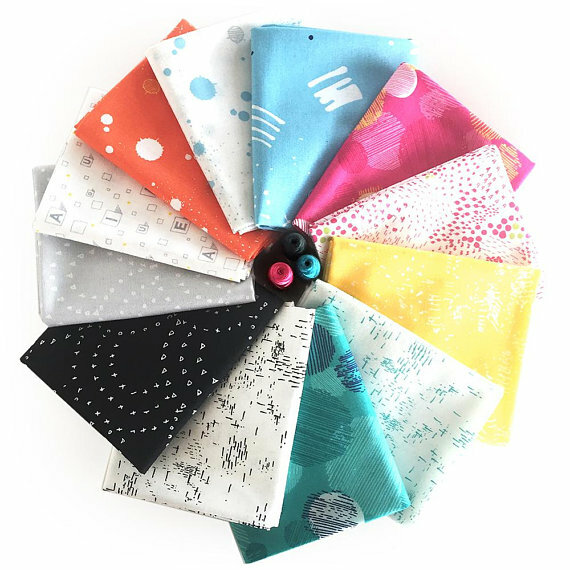 Visit Afton on IG (@quiltingmod) and on her blog to see the the blocks and quilt top that she made, as well as enter to win a FQ On Your Mark bundle. 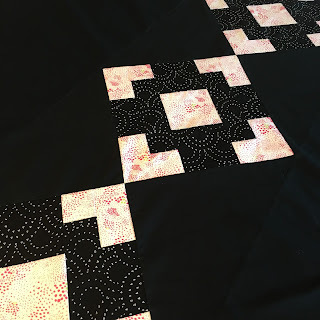 You'll also find a tutorial for making the blocks! Afton has created a fun block with great cutting instructions. Neat Colorful Bundle! Thanks for sharing!